Three months in, it has already become clear that the Arthur Miller centenary this year is not going to pass unnoticed in Oxford. Last month saw the Sheldonian Theatre stage an impressive student performance of The Crucible. 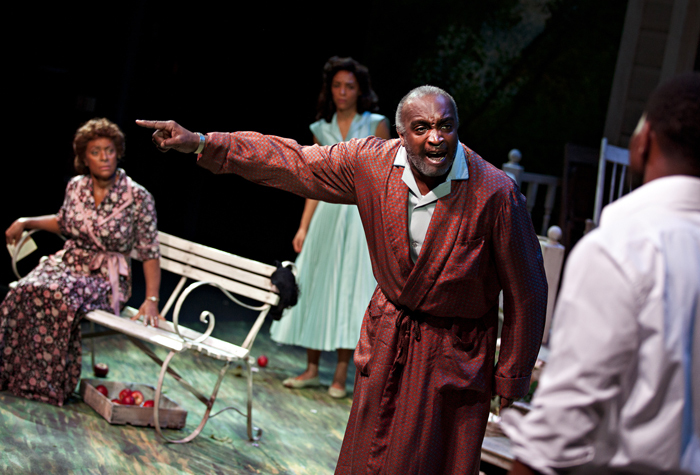 This week the Oxford Playhouse hosts an original take on the play that would become Miller’s first critical success, All My Sons: a production by the Talawa Theatre Company, who describe themselves as “Britain’s primary Black-led theatre company.” Directed by Michael Buffong, the company delivers All My Sons with an all-Black cast. Their tour is a reprise of the same production from 2013, although the director emphasises that the relation to the centenary is a coincidence. Based upon a true story, All My Sons is set in 1947, and most young men have come home from the war. The two sons of Joe Keller, who made money during the war manufacturing parts for the Air Force, both became Air Force officers: Chris made it back home, but Larry went missing in action. The playbill contains an insightful story on the status of Black men in the US armed forces: they could indeed become pilots, but only after a humiliating, segregated training. A storm has just upturned the tree planted in memory of Larry on the day Chris Keller intends to ask Ann Deever’s hand in marriage. She used to be Larry’s girlfriend more than three years earlier. Kate Keller vehemently opposes the marriage as she refuses to admit that Larry is not going to come home. Ann, too, should wait for Larry. The Deevers and the Kellers turn out to have a long family history: Ann’s father got sent to prison for supplying the Air Force with faulty engine parts, causing the death of twenty-one pilots. Joe Keller, who owned the factory, walked free, although not everyone is convinced of his innocence. Talawa make an impressive effort to convey the post-war US setting. The stage is impressively detailed, with the almost life-sized veranda looking very realistic, and details such as the apples from Larry’s fallen tree and the grape juice being real. The actors all speak in US accents, for which the company has called in the expertise of dialect coach Mark Langley. It seemed that at the beginning of the play, the actors needed to find their way into this accent, but once the play is under way, Langley’s results prove to be impressive. The only oddity is that Joe Keller has an accent that is significantly different from that of the rest of his family. The Keller family is excellently portrayed by Doña Croll as Kate, Ray Shell as Joe, and Leemore Marrett Jr as Chris. The father-son dialogues in particular are outstanding, and Croll shines as the mother who desperately tries to keep her family together by refusing to admit her losses. Kemi-Bo Jacobs and Ashley Gerlach portray a decent Ann and George Deever, although every word that Jacobs speaks seems to be forced out, which leaves little room for emotional nuance. Strangely enough, the child who plays Bert is not credited at all, though his role is important: Bert provides the first hints that point to the underlying tragedy that bursts out in the final two acts. Michael Buffong presents a well-balanced play, in which the humour in the first half stands in stark contrast to the tragedies after the intermission. Talawa’s contribution to the Arthur Miller centenary, albeit coincidental, is a worthwhile one. 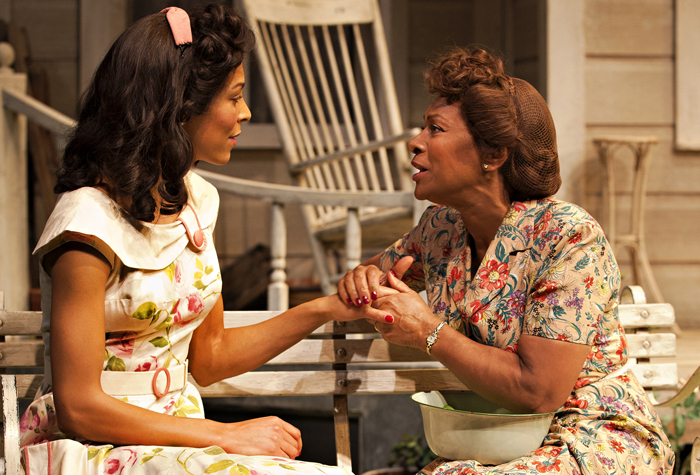 ‘All My Sons’ runs at the Oxford Playhouse until Saturday 21st March; tickets can be booked via the theatre’s website. More information about Talawa Theatre Company can be found here.